I’ll be honest: Scotland has never been high on my bucket list. So, when I went to visit this month, I was blown away by the natural beauty, stunning architecture and the lively spirit of all the cities I visited. 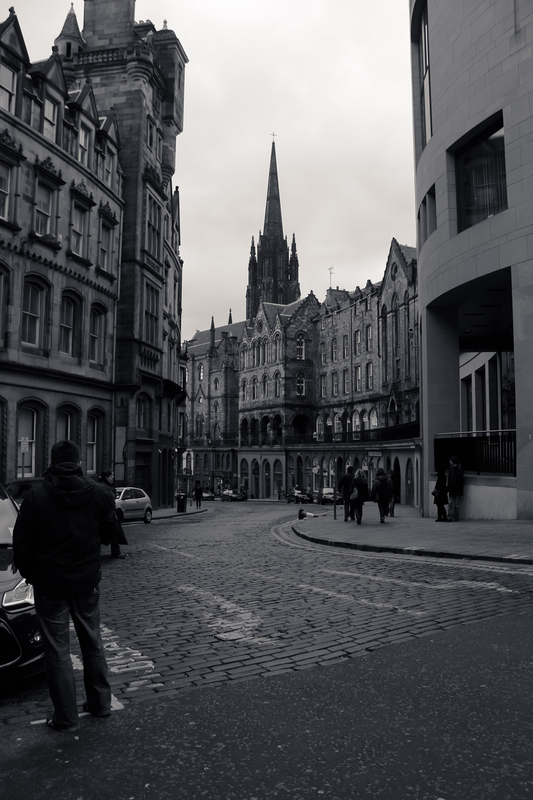 Edinburgh was the highlight of my Scottish adventure, and my favourite day in this city was spent discovering a new surprise at every step on the Royal Mile. The Royal Mile connects the Edinburgh Castle to the Palace of Holyroodhouse. 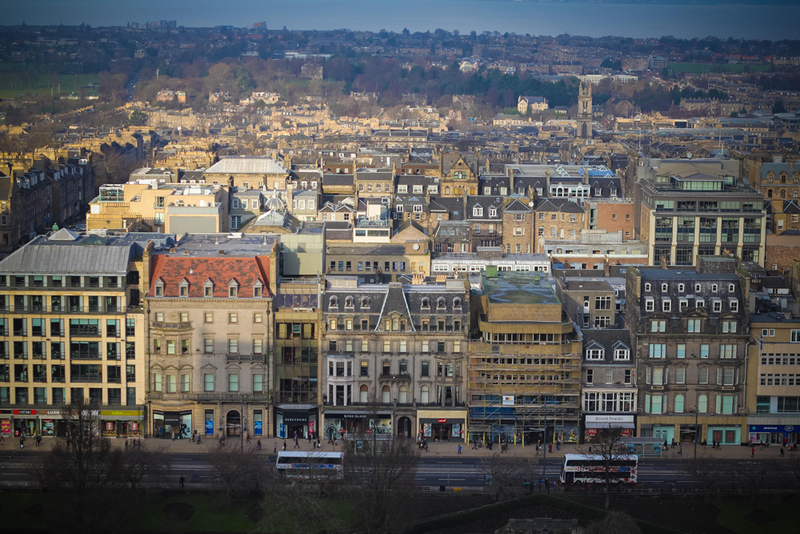 Castlehill, Lawnmarket, High Street, Canongate and Abbey Strand make up this touristy part of Old Town which runs for one Scots mile (that’s about 1.81 kilometres). We started our day by trekking up Castle Rock to explore the dominating Edinburgh Castle. 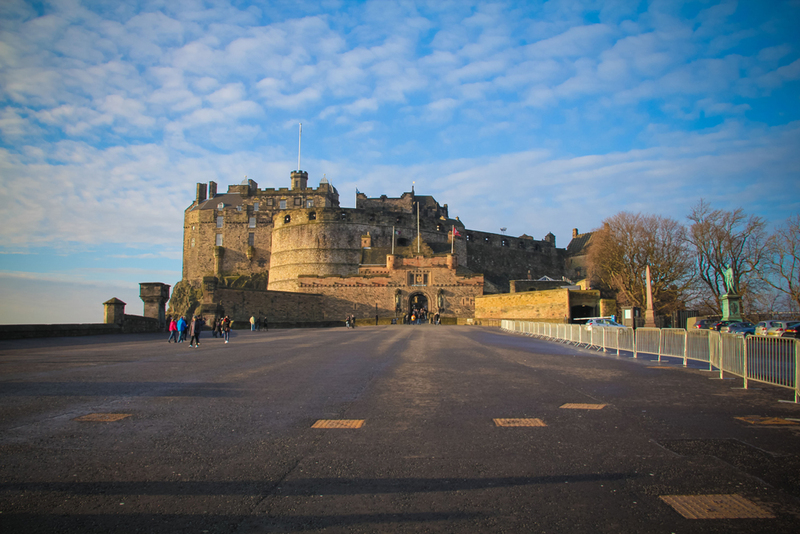 This sturdy fortress is the home to the stunning Honors of Scotland, which was undoubtedly the highlight of the visit for me (I must mention that’s partly because it was nice to be indoors in January). The other highlight was the Scottish National War Memorial, which commemorates Scottish soldiers, and those serving in Scottish regiments, in the two world wars and more recent conflicts. Grabbing an audio guide is a great idea because every corner of the castle is brimming with history. We stuck around until the One O’Clock gun was fired and then made our way down to start exploring other attractions of the Royal Mile. There is an overwhelming choice of places to have lunch at on this strip. I actually took a little detour and ate at the Elephant House Cafe (you are supposed to know that’s where JK Rowling wrote the first Harry Potter book). Walking a mile can an incredibly long time when you are constantly getting distracted by sights, shops and street artists. 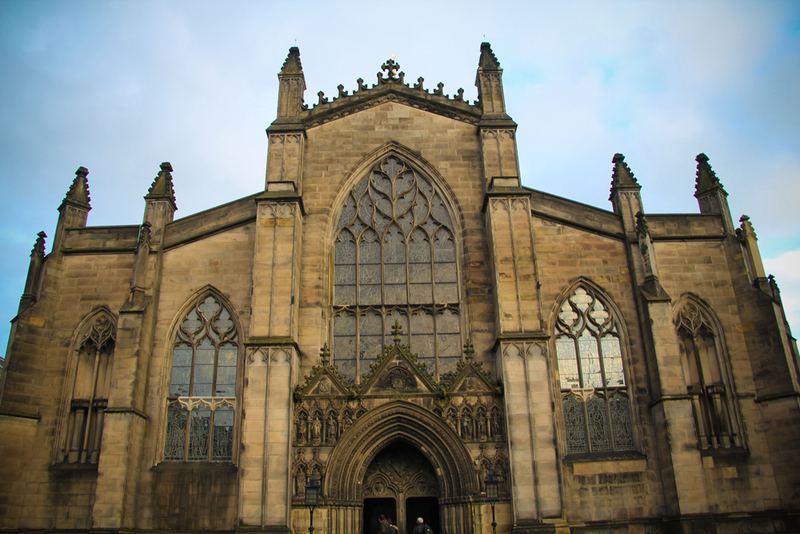 We checked out the magnificent St. Giles’ Catherdral (pictured below), Museum of Edinburgh, Scottish Parliament and several souvenir shops before reaching the end of the road, quite literally. 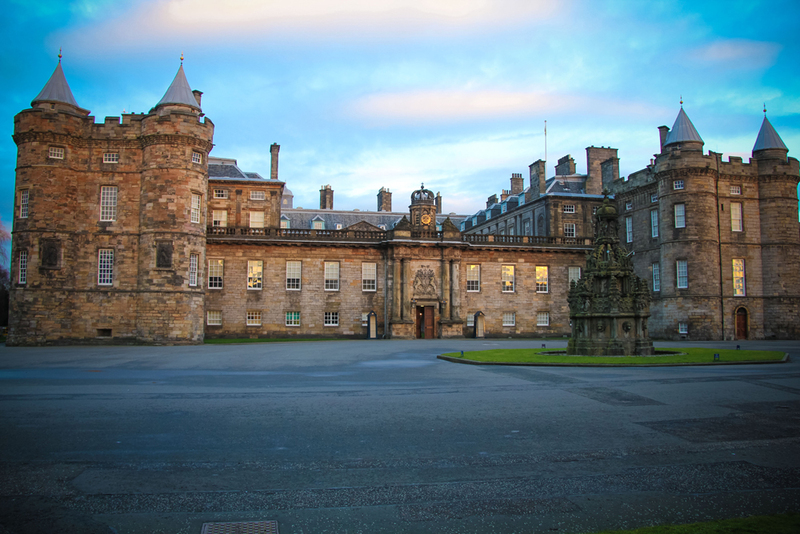 The Palace of Holyroodhouse graces the other end of the Royal Mile and is the official residence of the Monarch of the United Kingdom in Scotland. One can work up quite an appetite after more than a mile of walking (when you consider walking around museums and the castle), so unwind with a well-deserved beverage at a touristy bar. Or say buh-bye to the Old Town and make your way to one of New Town’s trendy bars, just like we did. 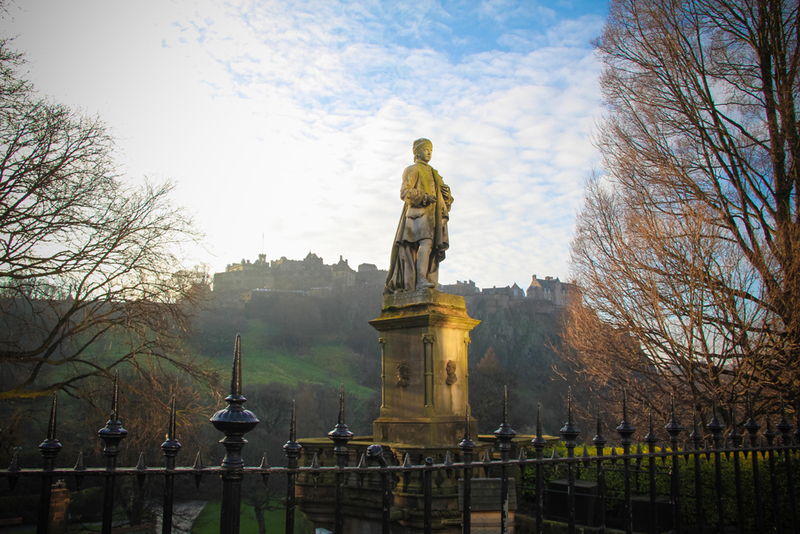 So if you are oblivious of Scotland’s (and particularly Edinburgh’s) magic and mystique like I was, then you need to bump it up on your travel list and check it out for yourself. Have you been to Edinburgh? 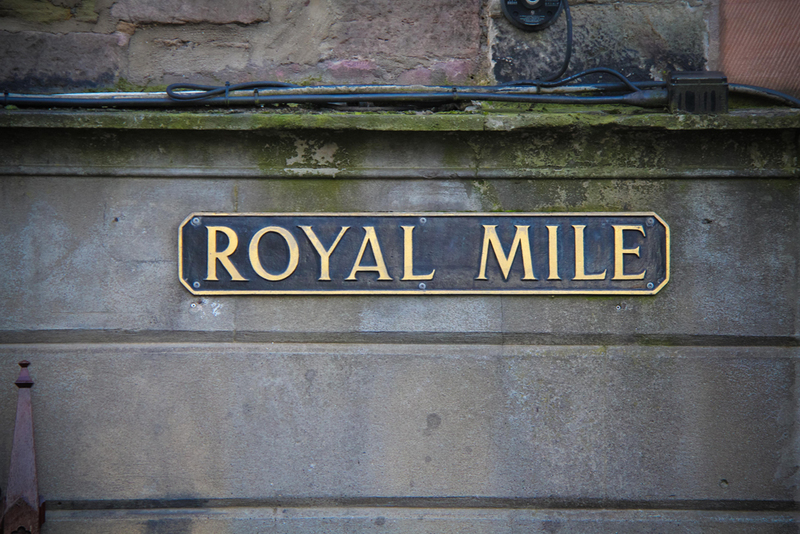 What are your favourite parts of the Royal Mile? I would love to hear from you in the comments below!